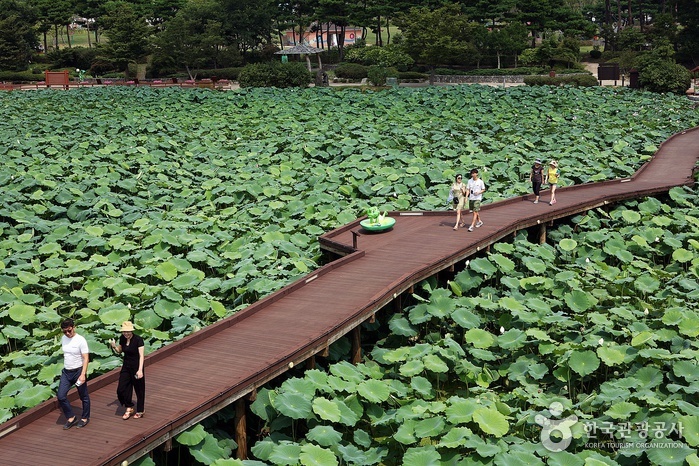 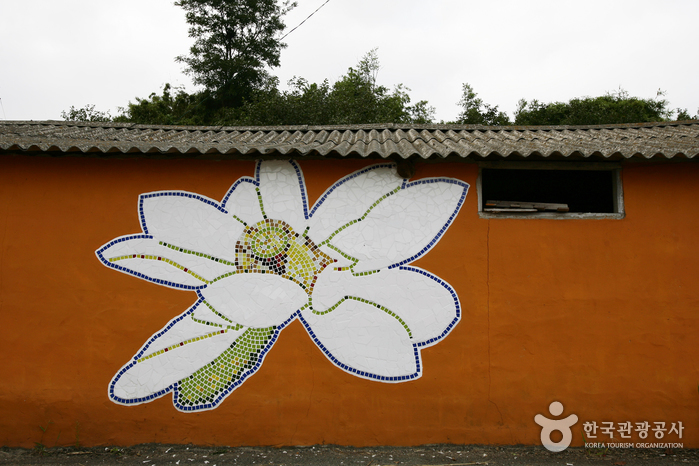 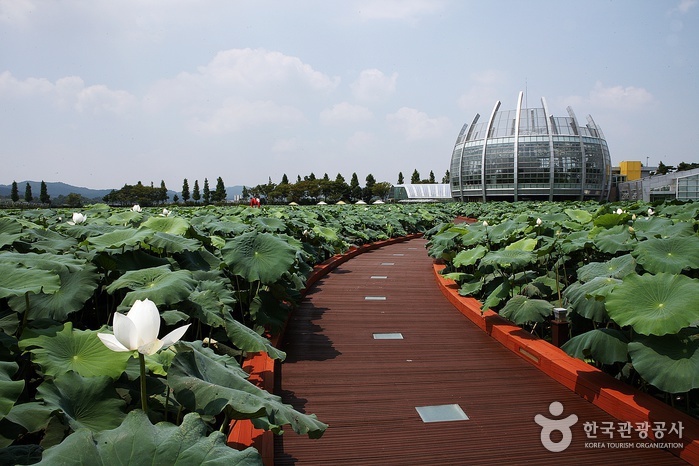 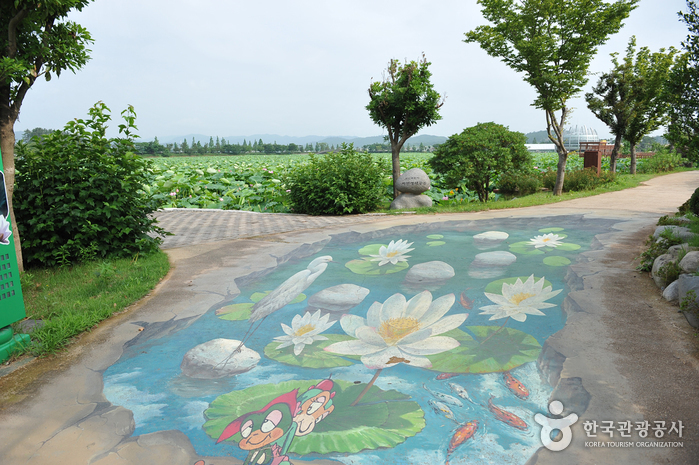 Hoesan White Lotus Habiat, called Hoesan Baengnyeonji in Korean, is the largest habitat of white lotus in Asia, covering an area of approximately 330,000 square meters in Bogyong-ri, Illo-eup, Muan-gun, Jeollanam-do Province. 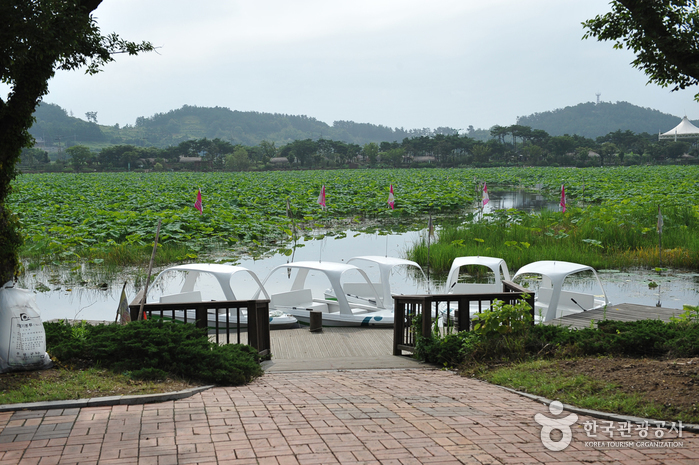 The white lotus flowers in this pond continuously blossom and fall from July until September. 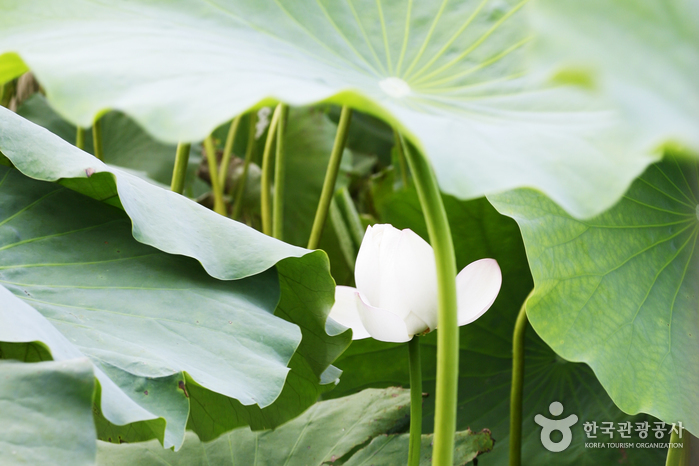 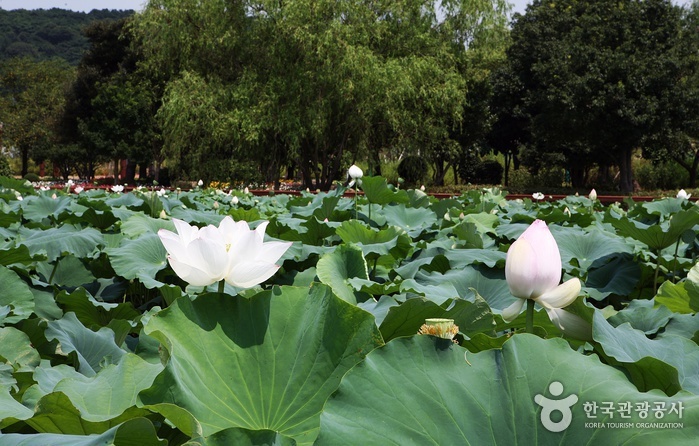 A lotus festival is held in August, when the flowers are at their peak. 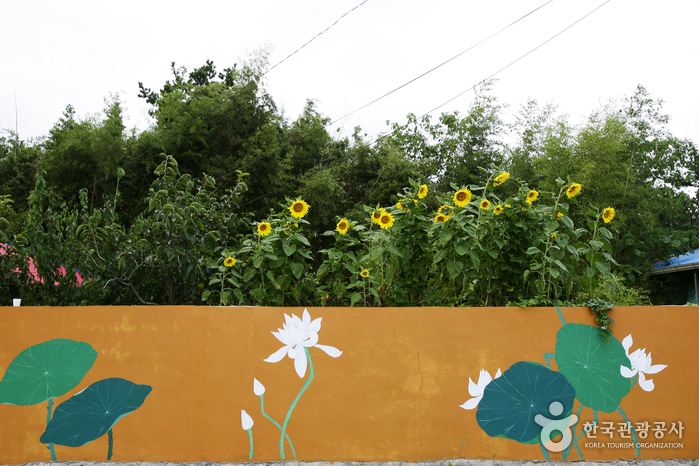 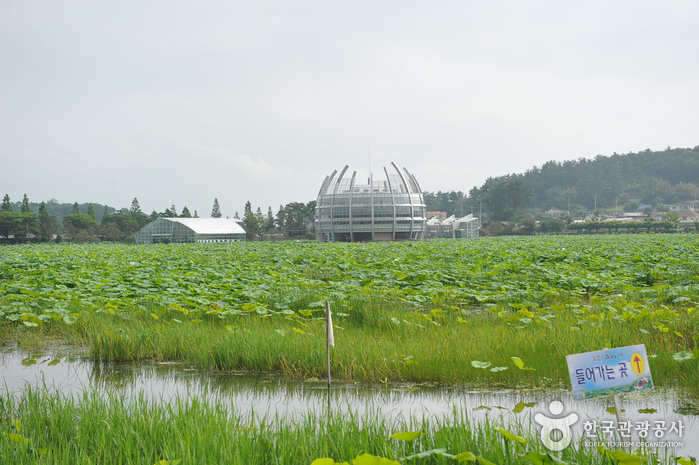 At the side of the road leading to the lotus festival grounds, there is an aquatic plants natural education site spanning an area of over 2,300 square meters. 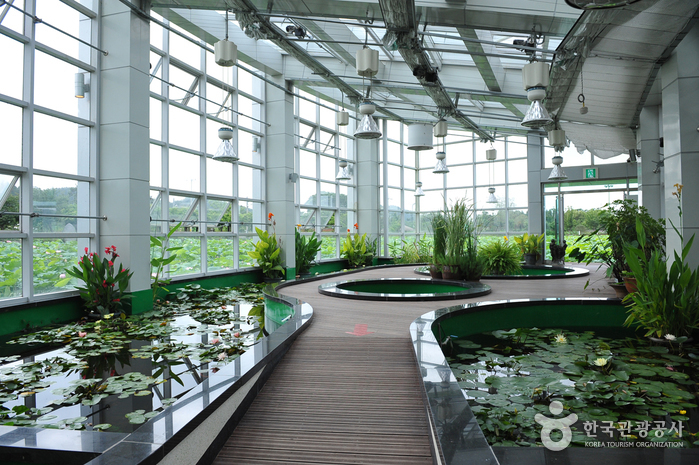 * Free admission applies to visitors who are 65 years or over and visitors with disabilities. 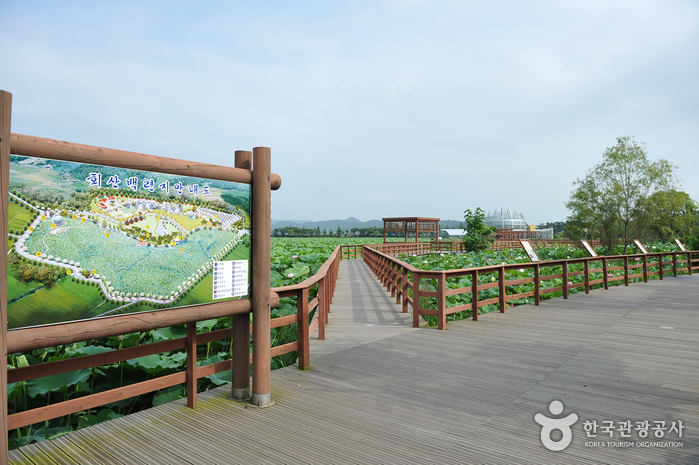 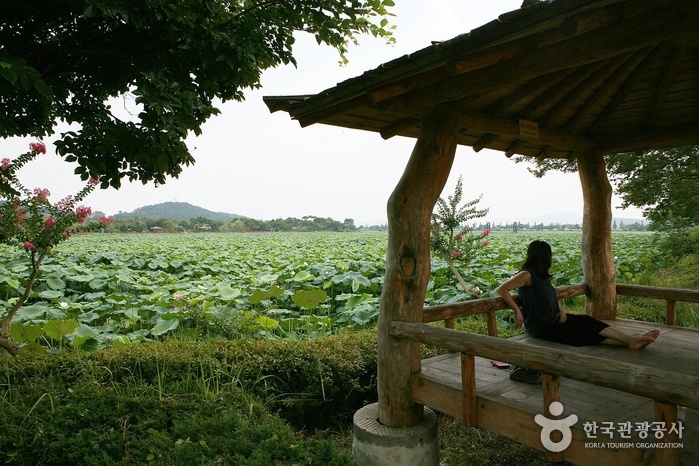 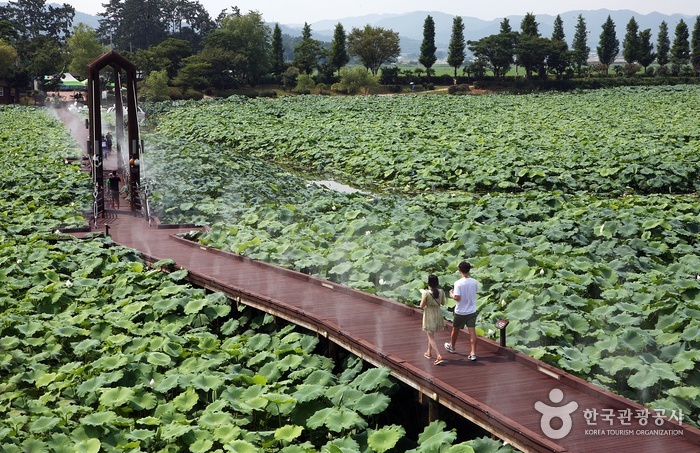 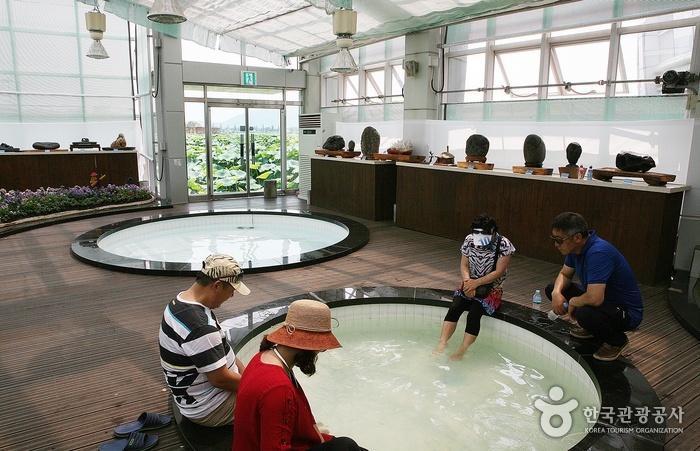 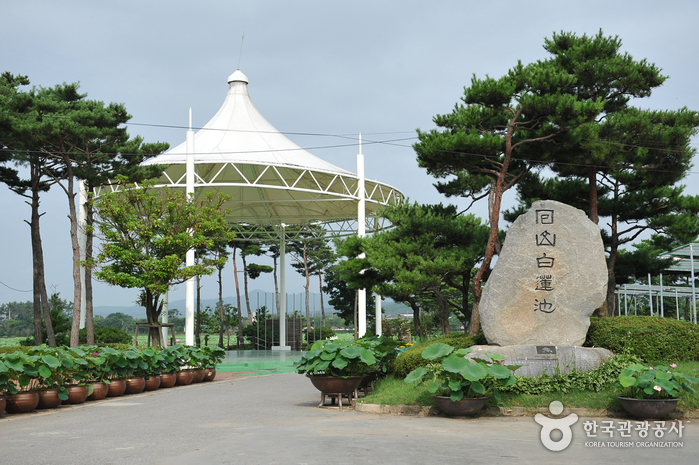 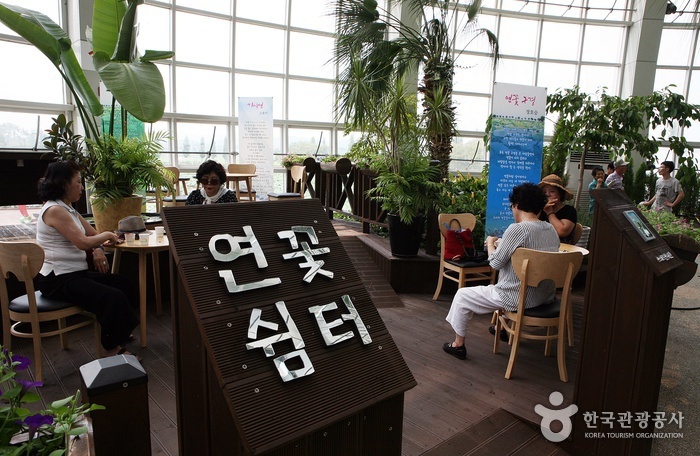 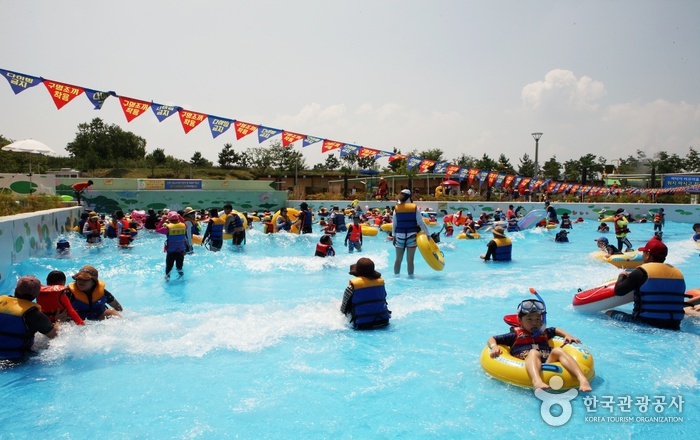 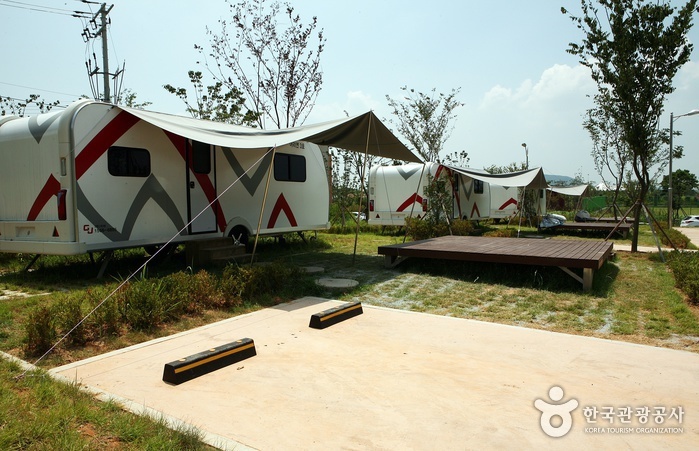 Baengnyeon-ro, observatory deck, lawn plaza, theme park, bungalow, resting pavilion, drinking fountain, cafeteria, shade, acupressure trail, wild flower garden, etc. 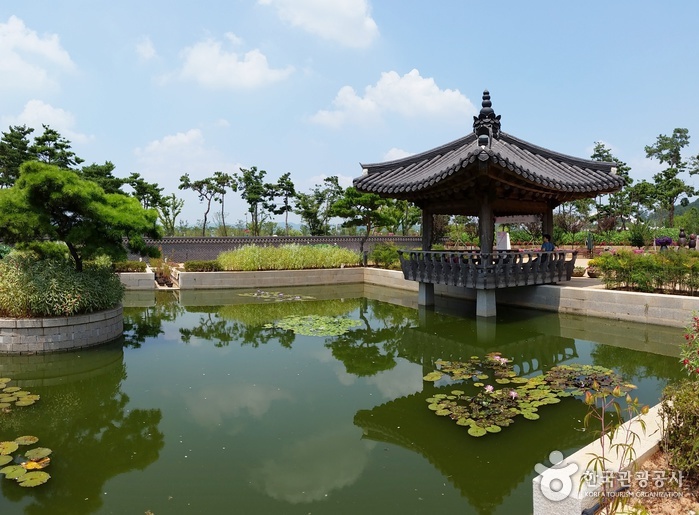 From Seoul Central Bus Terminal, take an express bus to Muan Bus Terminal. 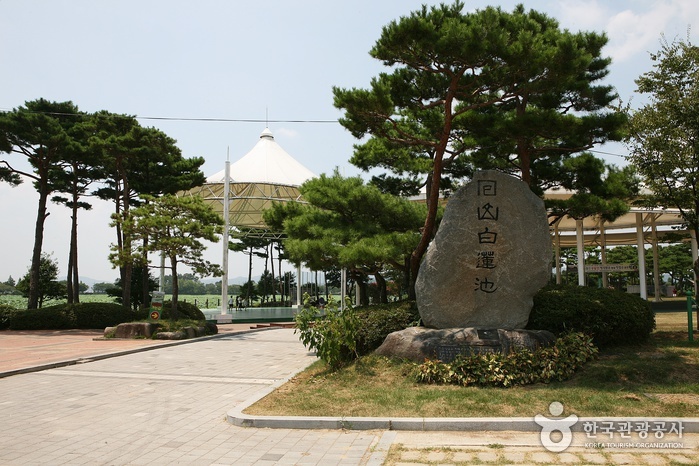 Take a taxi to Hoesan Baengnyeongji (estimated 40 min).